Sponsoring a child allows us to participate in God’s Kingdom work in another part of the world. Brings hope and encouragement to a child and their family in another part of the country. Being noticed by a sponsor, receiving letters, and having the support needed to attend school, receive basic living necessities (food, water, medical) and spiritual teaching becomes a new framework for a child to build their future story. It establishes a relationship that both child and sponsor enjoy. It teaches us to look beyond our own needs to the needs of others. Navajo Nation is under-resourced in providing opportunities for children’s education and hope for future employment. Lifeline Christian Mission provides sponsorship opportunities at Red Sands Christian School in Winslow, AZ, to support the staff and children in teaching and providing lunch. 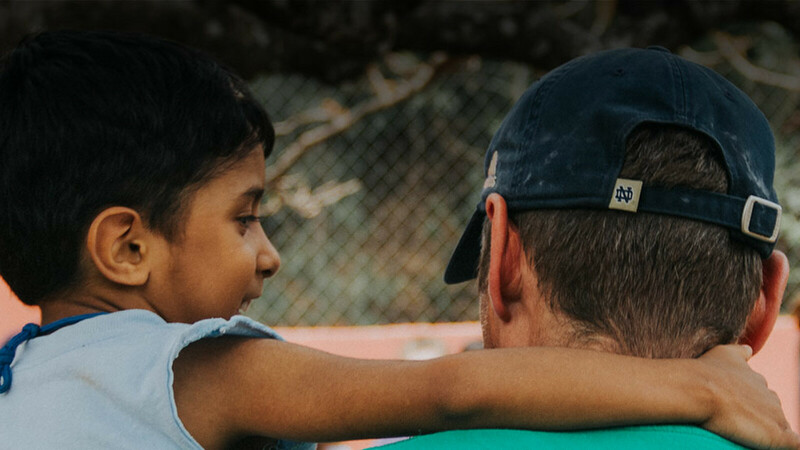 "Our sponsored children may be family picked from a website or sponsorship card, but it is my prayer for everyone to know how real of a person is on the other end. It’s a precious life worthy of knowing the love of Jesus, worthy of the joy when a sponsor’s letter arrives, worthy of the hope of a brighter future, and worthy of everything we would hope for our own children."